There simply is no better way to tell the story of your wedding than to preserve it in a high quality album. I offer a range of stunning albums to cater for different tastes and budgets. Stunning quality leather-bound album with superior print quality on matte fine art paper. This album is one of the finest products on the market today and I’m very pleased to offer it to my clients. Fine art paper and leather covers are timeless, meaning they will always look good rather than being a current trend. There is also a choice of leather or linen covers in a range of colours. in my opinion this is the best of the best. The Young book is for those couples who are looking for a modern, sleek design album. One they can customise and carries an unbelievably low price for a high quality album. This album comes in a neat presentation case and both the book cover and box have a whole range of colours available. 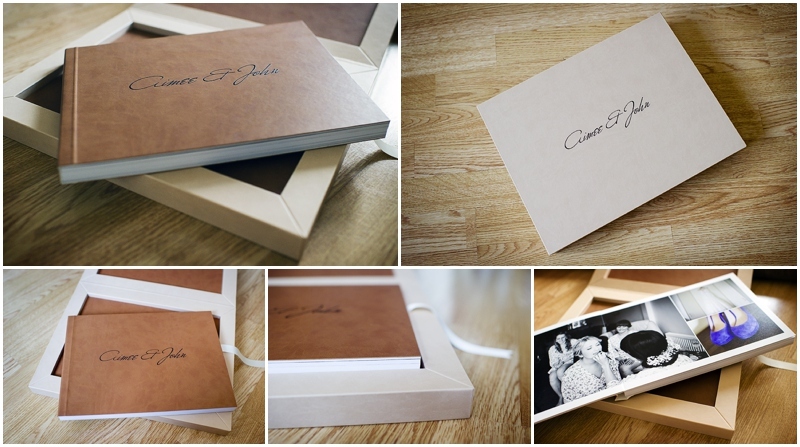 A very high quality option for couples who want to customise their book and covers. This album is available with leather, metal, acrylic and varnished front covers with a wide range of different options for the rear cover. The perfect way to display your wedding photographs and treasure them for years to come. There is also huge range of sizes available. Each album has its own style and feel, don’t just select your album based on the cover options but also look carefully at the paper. from the crystal clear print of the fine art to the more glossy feel of the wedding book its important you select the album that suits your needs best.